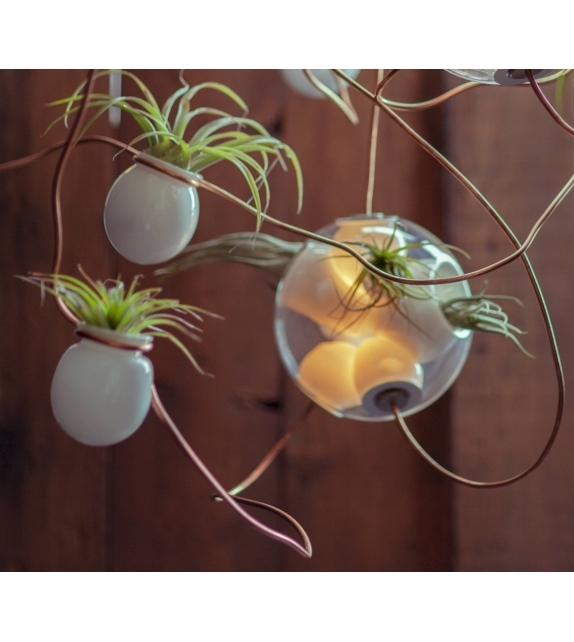 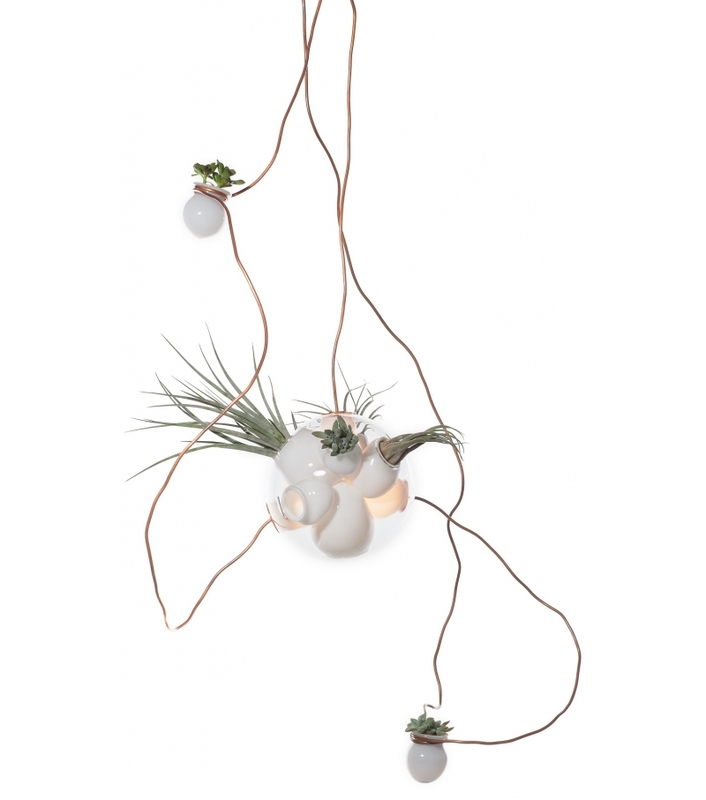 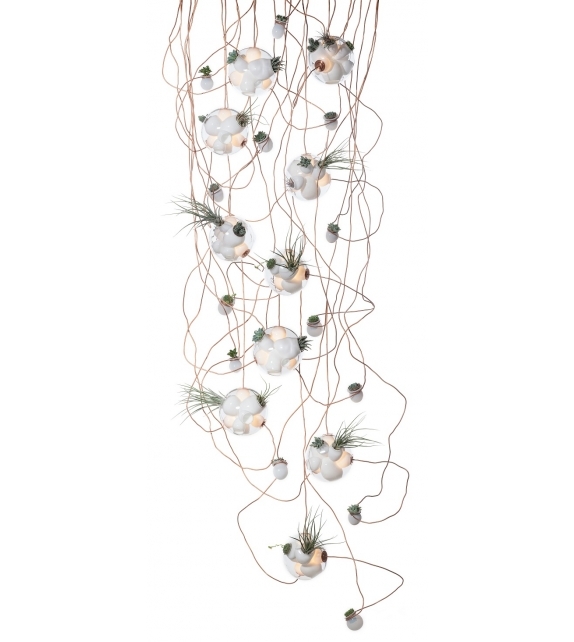 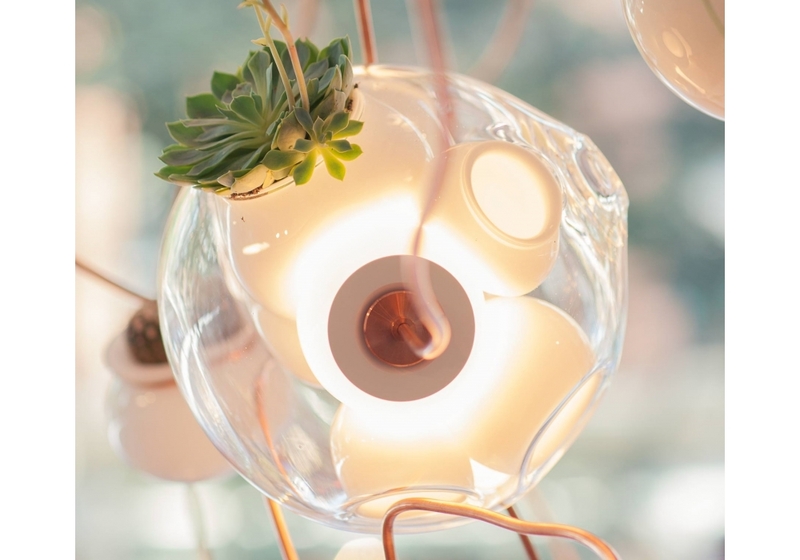 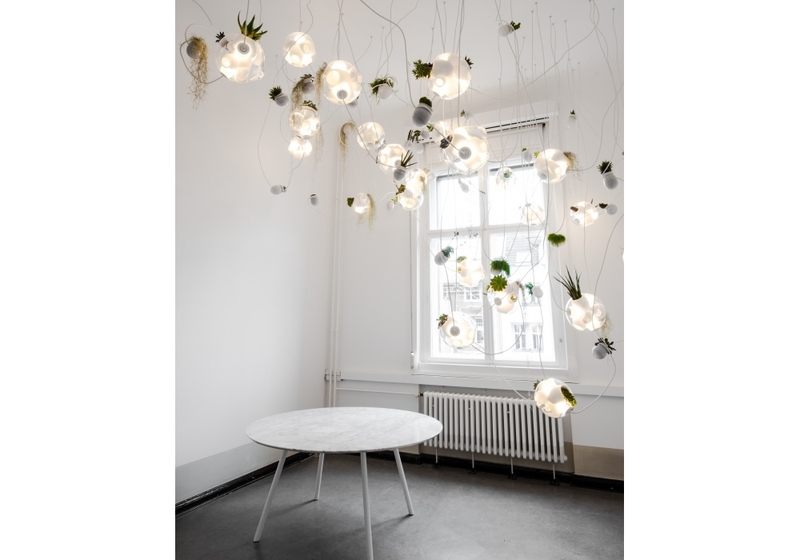 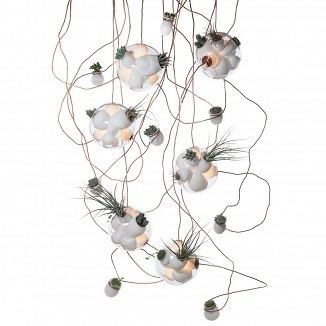 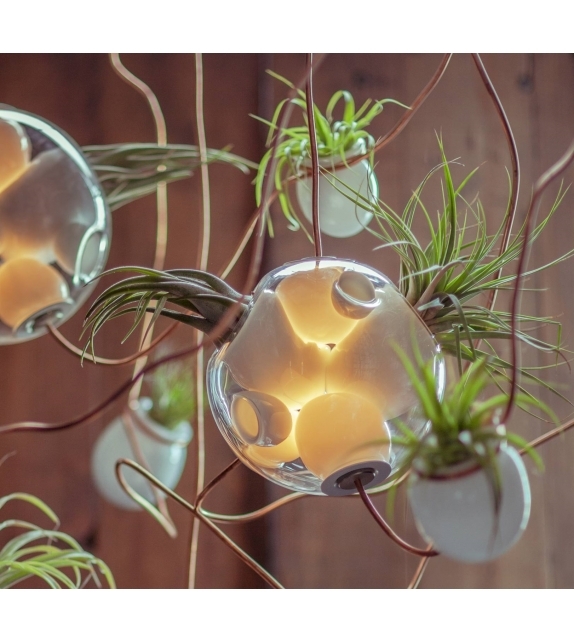 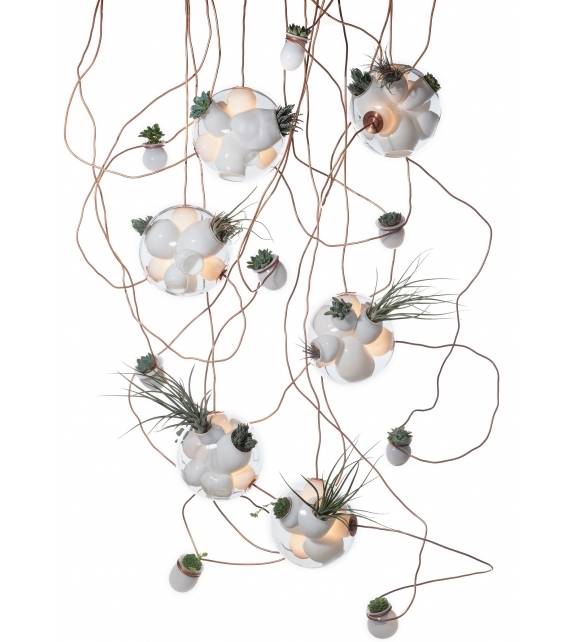 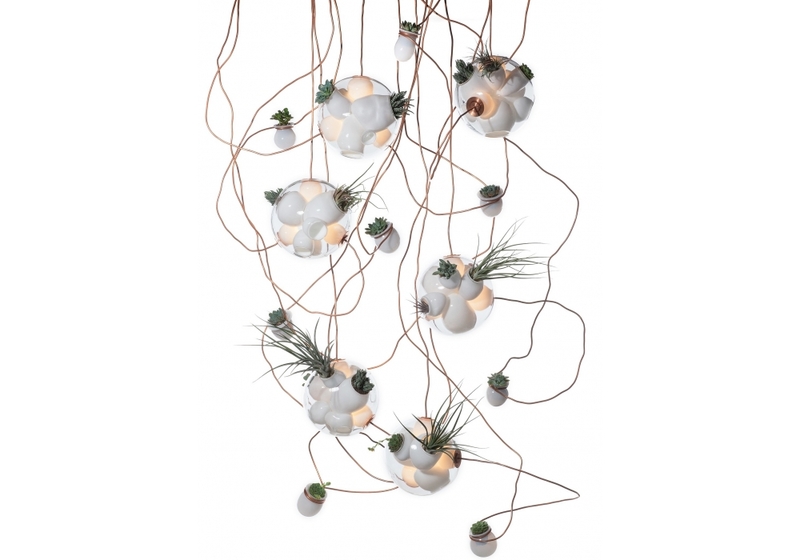 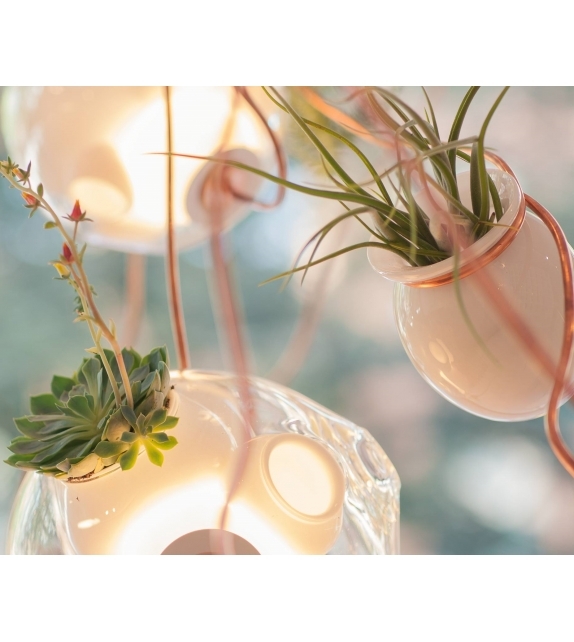 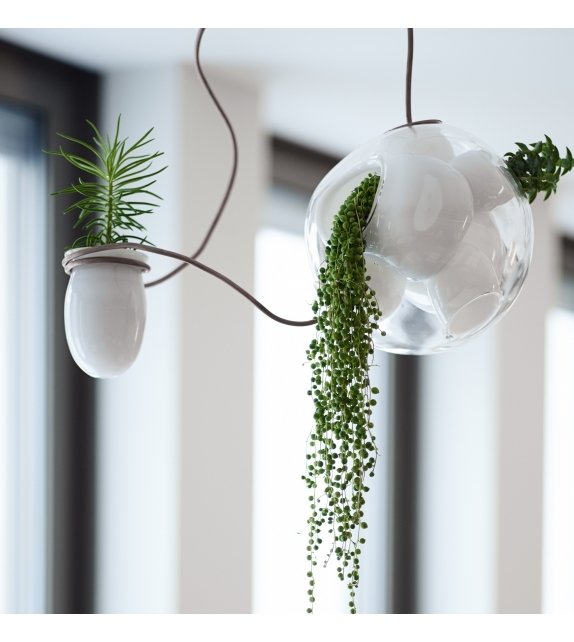 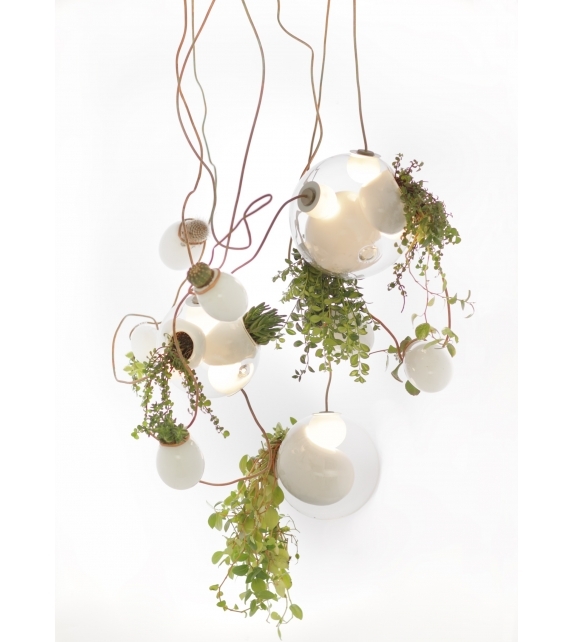 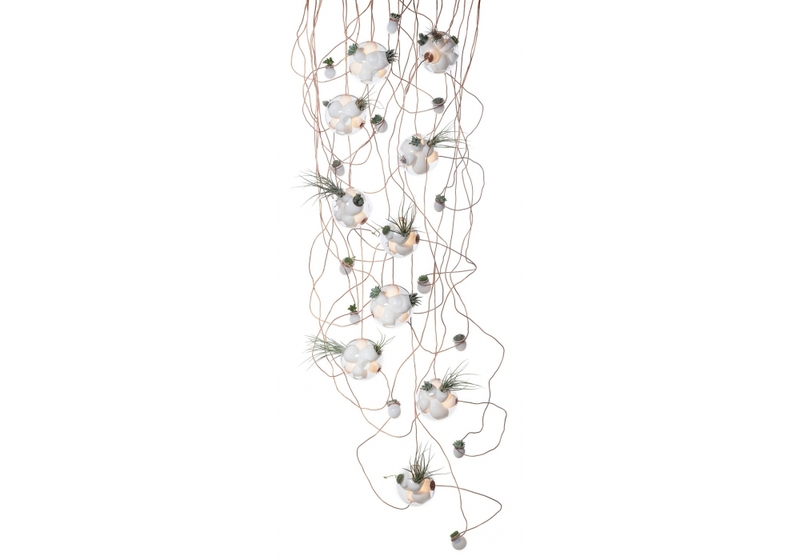 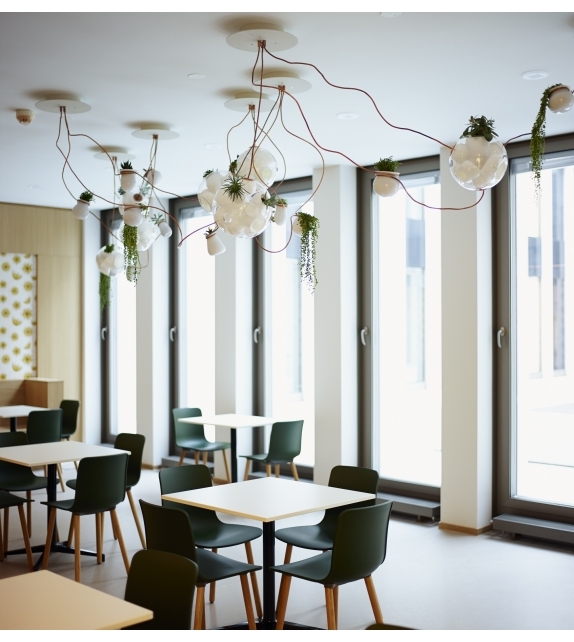 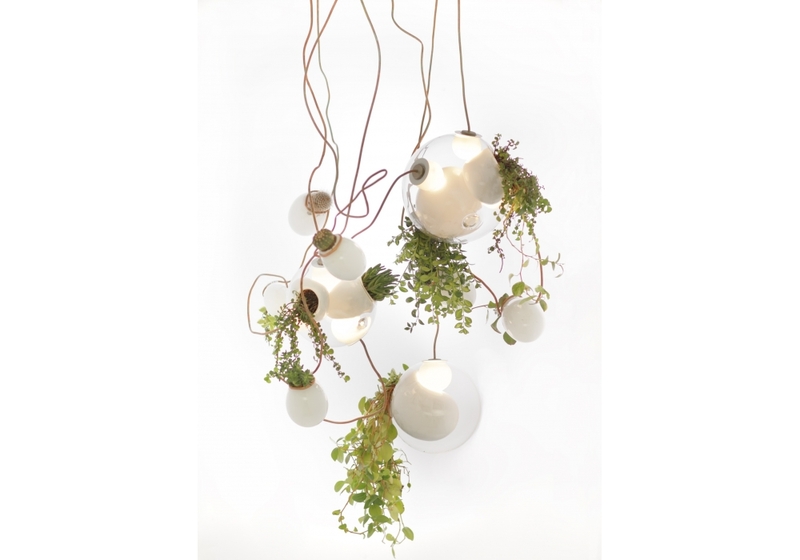 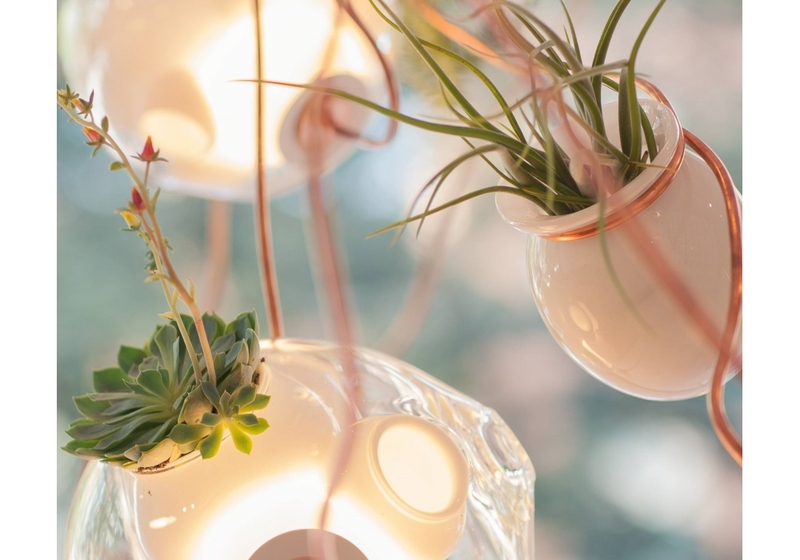 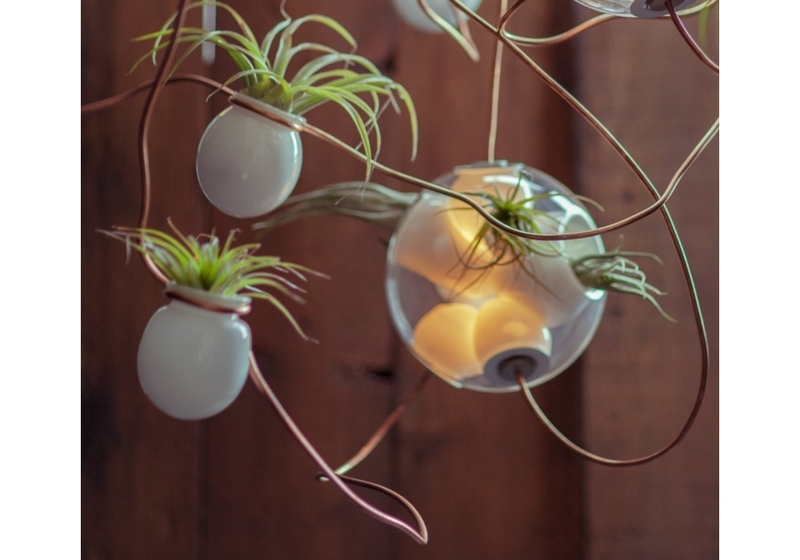 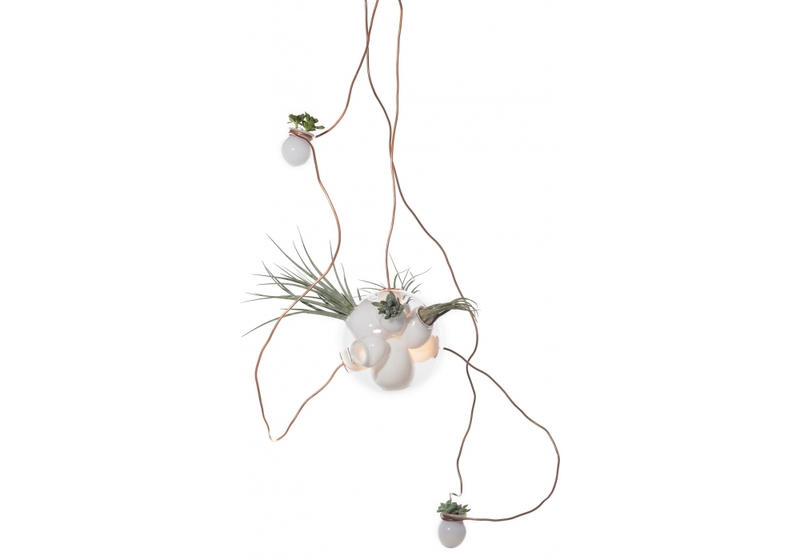 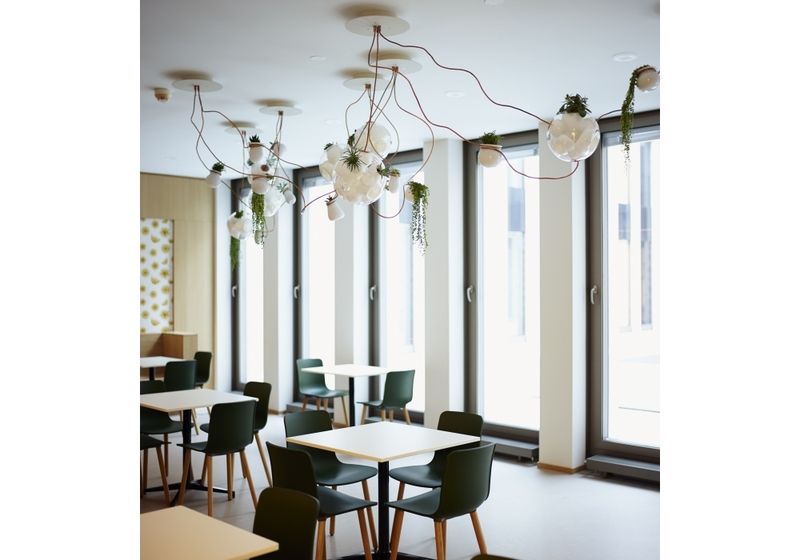 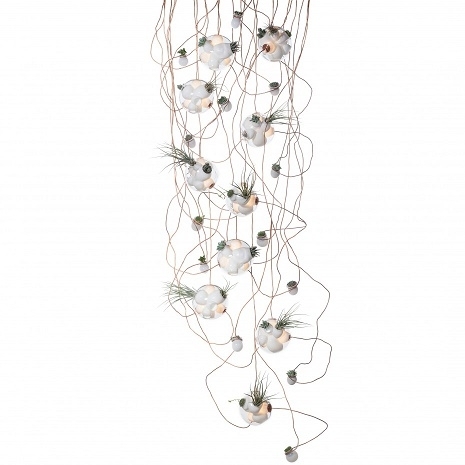 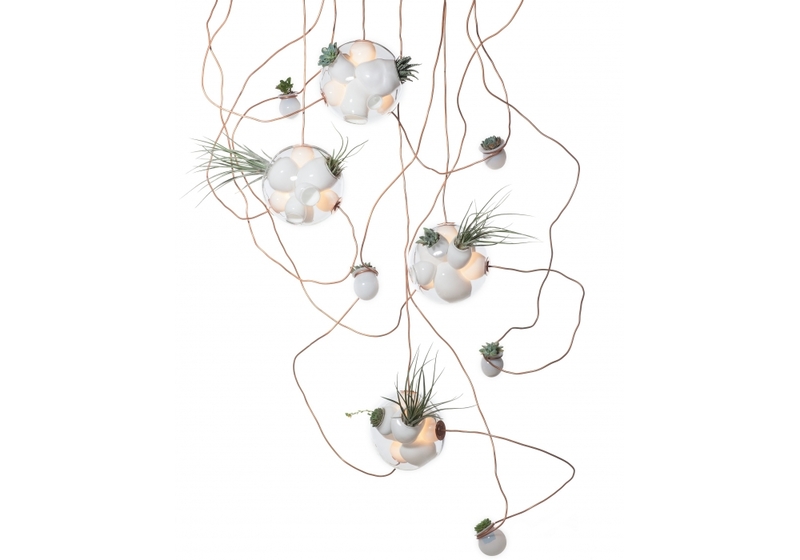 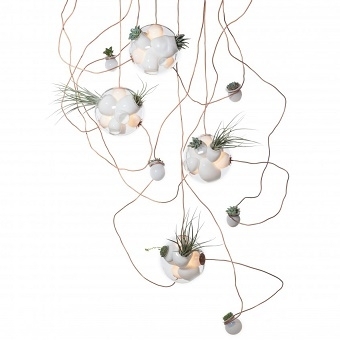 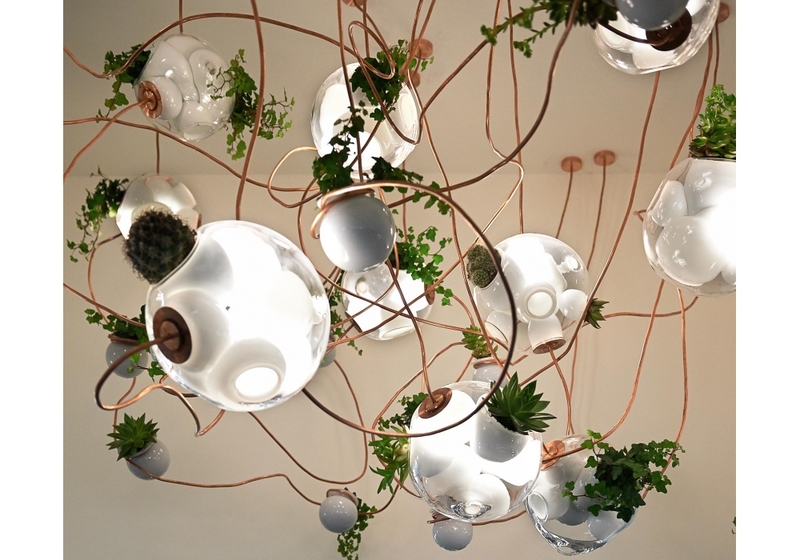 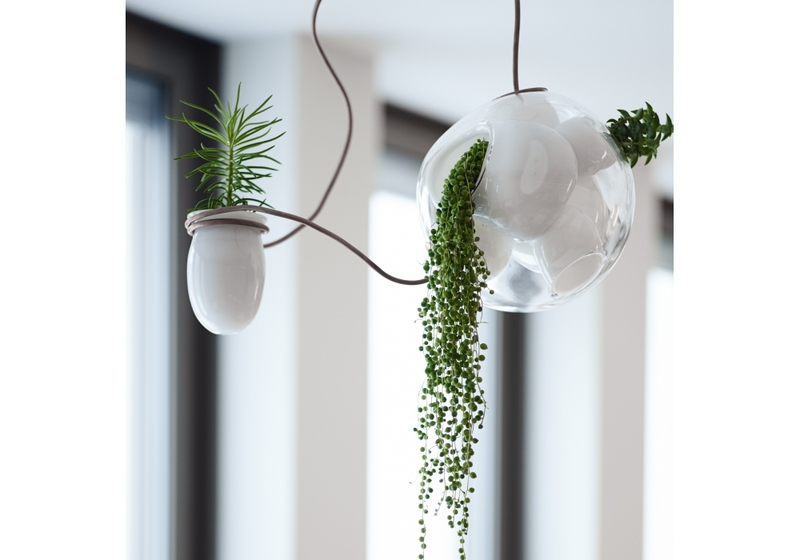 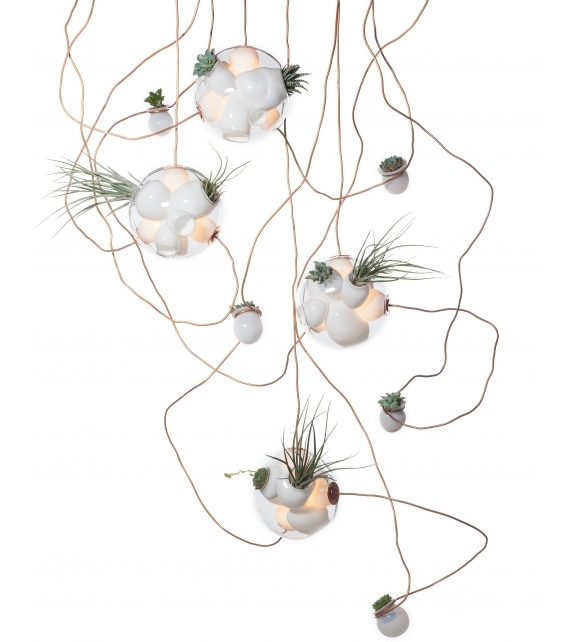 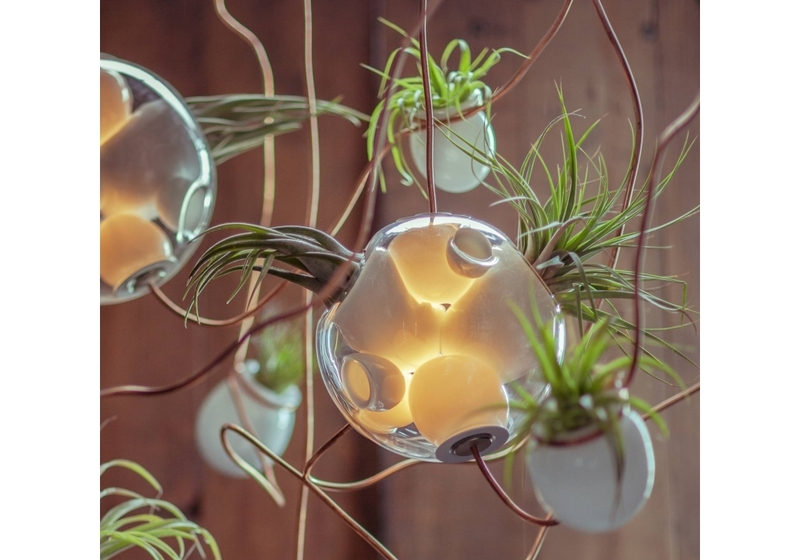 38 designed by Omer Arbel for Bocci is a suspension lamps series. 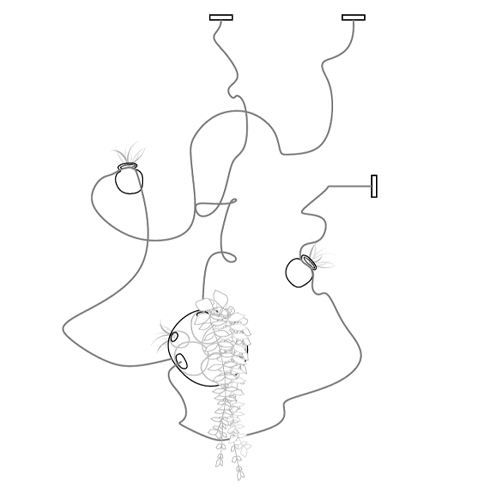 The series 38 brings the highest levels of craftsmanship technique developed for the series 28. 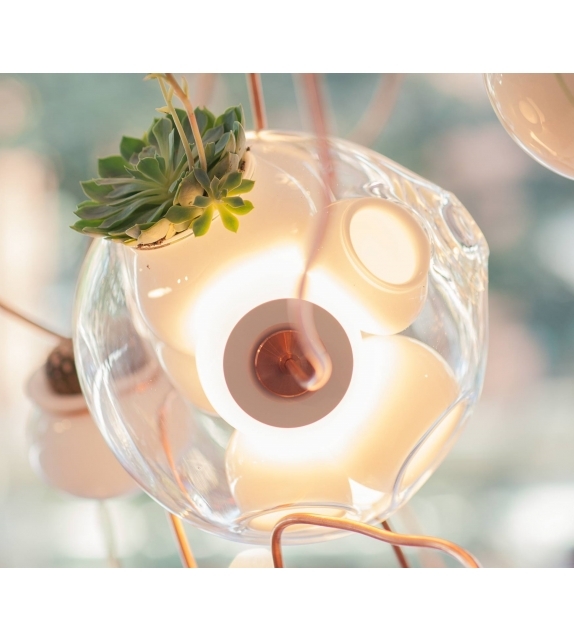 A large glass sphere is realized by blowing an internal cavity different randomly. 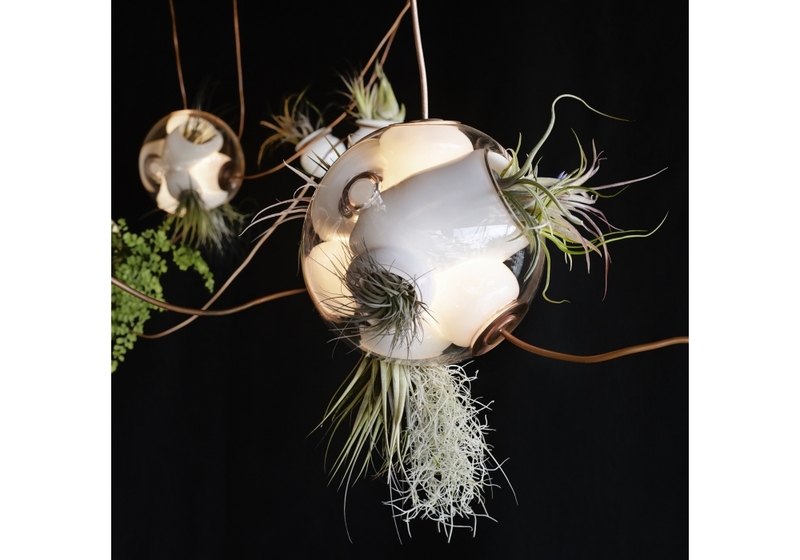 Several of these cavities satellites are deep enough to contain the ground and plants, while others act as lighting elements. 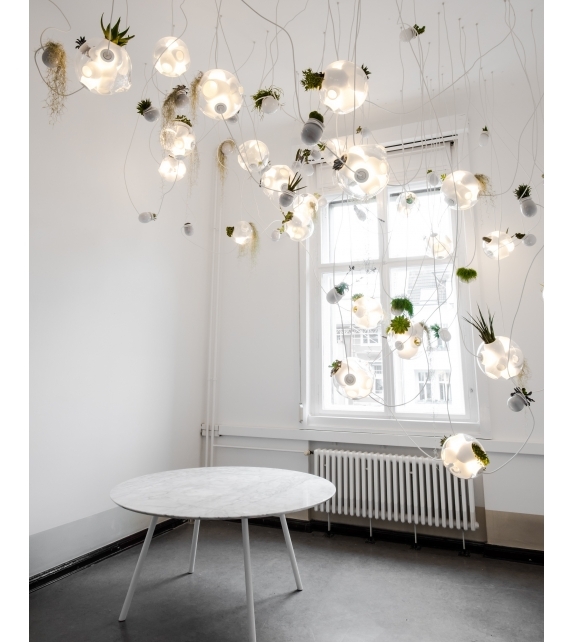 Each sphere contains two or three lighting bodies and one or two plants. 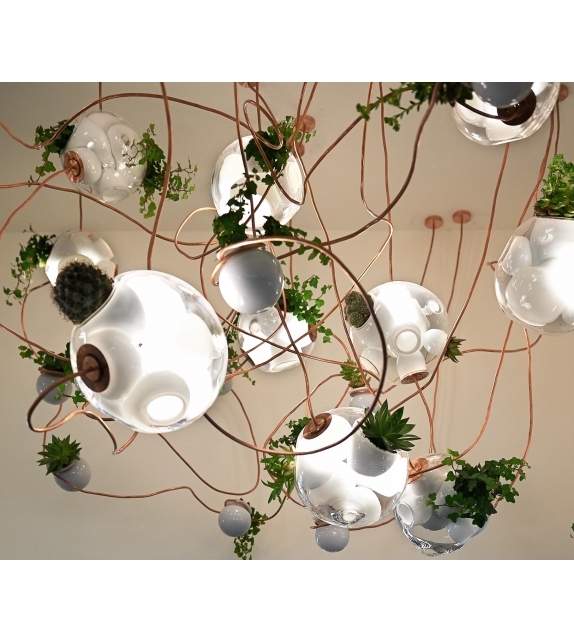 Thanks to the craftsmanship, the diameter, the size and the number of satellite voids may vary.